Tagalog, the primary language of the Philippines, will be taught as a foreign language course next year at Channel Islands. The course will fulfill the “Language other than English” requirement on the A-G subject requirements, which students must complete in order to graduate and to attend a University of California or California State University after high school. Angeline Cesar, vice president of ASB and president of Filipinx Club, first brought up the idea to Ms. Marianne Ramos, one of the Assistant Principals of Channel Islands, during the summer prior to her senior year. Because of her position as a District Student Board representative, Cesar was then able to contact the district board concerning adding a Tagalog class. 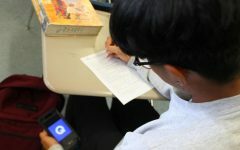 “I was told that it is possible for (a Tagalog class) to be added, but it will have to be added next year,” Cesar said. With the assistance from her friends from Pacifica High School, Cesar started the Filipinx Club at the Islands. 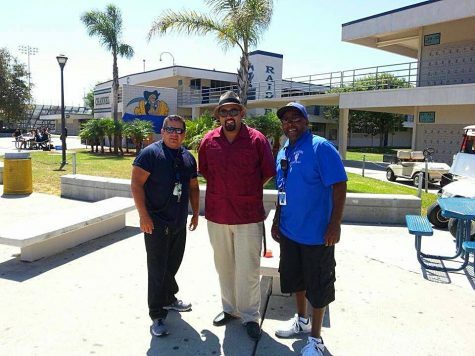 The club is now present at six high schools within the Oxnard Union High School District, including Oxnard, Rio Mesa, and Rancho Campana. The district approved of having a Tagalog course next year as long as Cesar provides an interest list in order to determine how many class periods they will need. OUHSD is only working on having a Tagalog class at the Islands due to the school having the most Filipinx Club members in the district. “If other Filipinx Clubs grow, then the district will bring the course to those schools as well,” Cesar said. Ms. Ramos loved the idea of incorporating a Tagalog course into the CI curriculum. “It is important for students to have the opportunity to learn about a culture that they come from and know a little bit about, or know nothing about and want to become more knowledgeable of,” said Ms. Ramos. As of right now, approximately 100 underclassmen have expressed interest in the course. According to Ms. Ramos, the list will continue to grow as publicity increases. Den Earl Dulos, the Filipinx Club director for current events, believes that having a Tagalog class will help Oxnard’s large Filipino community better communicate with and understand each other.